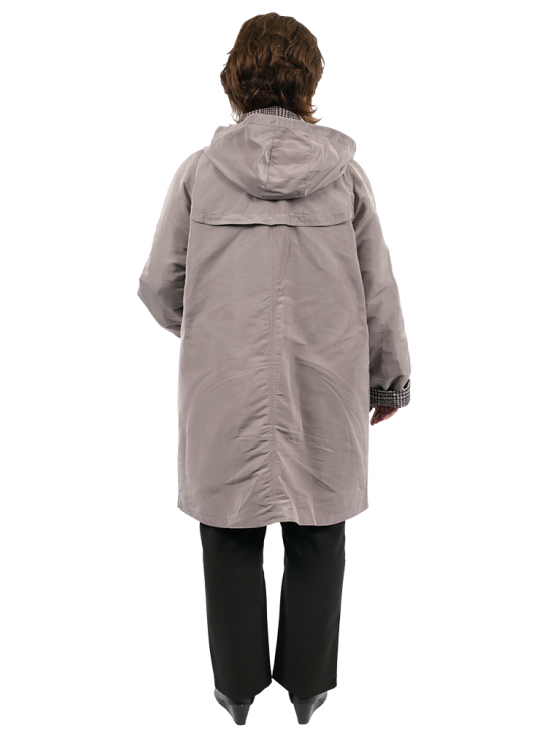 Comfortable and lightweight charcoal rainmac, featuring patch pockets, contrast printed storm collar, CF facing, turn back cuffs and lined detatchable hood with pull toggles. Please note in this cooler season, up sizing may be nessessary if wearing thicker layers. Please note this is showerproof and wind breaker.